order to seek out, recognize and award our ‘Local Heroes’. deserving of special and due recognition. 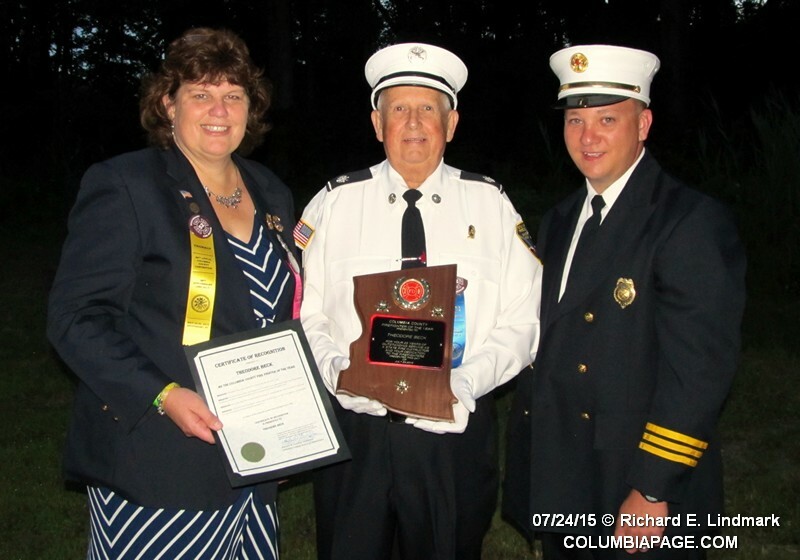 Columbia County Firefighter of the Year for the third straight year. heroism are not the qualifying factor in choosing a FFOY. meeting and narrow the field of nominations to the top 3 nominations. 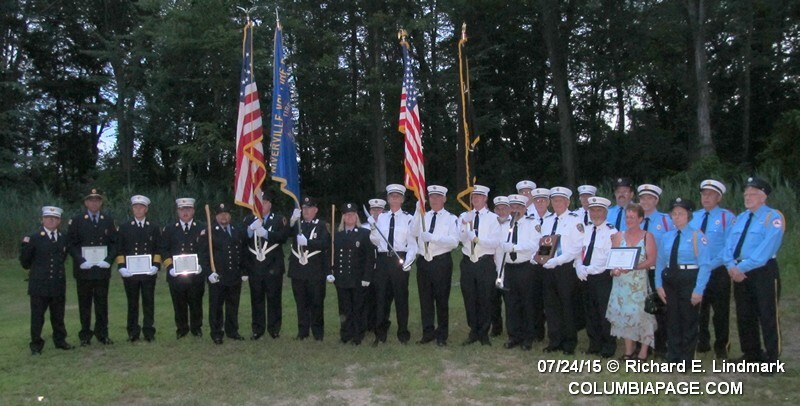 CCVFA Convention on the last Friday of July of each year. acknowledged and presented an Honorable Mention Citations. F.A.S.N.Y.’s Firefighter of the Year. volunteering that you have done. 1st Assistant Chief Mark Sheline Sr.
the line to save another firefighter. brought down to safety without further or serious injury. has a personal story with him. and acts of heroism over the years. companies from around the county. knowledge and training he has provided. continues to be a member of the Stuyvesant Falls FD. Ted is a tremendous example and inspiration to all in the fire service. Niverville Fire Department with recipients: 1st Asst. Chief Timothy Stever, Capt. Jeremy Cromie, Lieutenant Paul Strobel. Lebanon Valley Protective Association with: Mrs. June Sheline (wife of Mark Sheline) who posthumously accepted the award for Mark. Center: Columbia County Firefighter of the year 2015 Theodore "Ted" Beck with committee members Laura Foster and Eric Barnes.